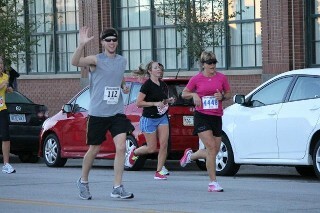 Because Of Chiropractic Care, I was able to run a Marathon. In 2011, I embarked upon my second season of organized distance running activities. I had built up the courage to attempt the Omaha Marathon, a staggering 26.22 mile course featuring brick roads, hills and downtown skyline. During training, I was often plagued by hip soreness and what at times felt like minor dislocations of the hip. It would cause me to alter my mechanics and other joints/muscles would begin to ache. On several occasions, my training was cut short and threatened to close the door on my Marathon aspirations. I went to see Dr. Elsasser and my training took a much needed turn for the better. With simple regular adjustments, I began training with much less pain and was able to log some REAL miles in preparation for the big event. By September, I was ready for the long road and finished in respectable fashion…on my feet. Aside from the training, Chiropractic Care provided great benefits when it came to the days following the Marathon. After running the grueling 26.22 miles, I went to see Dr. Elsasser for a well-deserved adjustment. Within 36 hours, I had no discomfort left from my day on the road. My 18 week training program to run my first marathon came to a complete stop with pain in my right hip. After consulting my medical doctor who recommended Elsasser Chiropractic I began treatment. Dr. Elsasser’s practice enabled me to slowly resume my running program. There were some ups and downs, but I am glad I stuck with it! 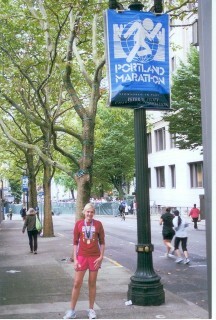 I completed the Portland Marathon October 9thand was able to run pain free! I am grateful to Dr. Elsasser and his staff for all they did for me. I am a 34 year old professional firefighter. 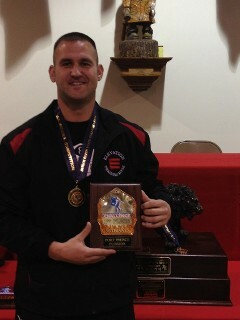 I am also a member of one of the top firefighter combat challenge teams in the world. A few years ago during a very intense training session, I started to experience severe headaches. The pain was so bad that I thought I was going to have to quit the team. After weeks of aspirin and rest with no relief, a friend recommended Dr. Elsasser to help relieve the pain from the headaches. At this point I was willing to try anything. After only two weeks and about 4-5 appointments, the headaches were completely gone. Not only were the headaches gone, but I found that the little aches and pains in my hips and back were gone as well. Between the stress of my job and the intensity of my sport, my body tends to become very sore and painful. I have no doubts that Dr. Elsasser's care was the biggest factor in getting my body back in top physical condition. I am religious about my appointments; I always go and see him a few days before every competition, and at least a couple times a month during the off season just for general maintenance. There is no way I would be able to perform at such a high level in my sport without the help of Dr. Elsasser.